Andrew Michael Spence, recipient of the 2001 Nobel Prize for economics (along with George A Akerlof and Joseph E Stiglitz), favours the Reserve Bank of India (RBI)’s stance on containing inflation, despite some sections seeking polices to boost growth. Spence is also on the same page as RBI Governor Raghuram Rajan as far as monetary stance is concerned. India’s economic growth story hasn’t been promising. Last financial year, growth stood at a decadal low of five per cent. Many economists and agencies agree this year, it would be lower. Retail inflation exceeded 10 per cent in October. What would you advise RBI — to boost growth or tackle inflation? Five per cent growth is disappointing but only after having reached nine per cent. However, it is still not all that bad. RBI should and will keep inflation under control. In doing so, it might put negative pressure on growth in the short run but that is okay. This is not where impediments to growth lie. Which is the biggest constraint for the Indian economy — high inflation, a high fiscal deficit, low growth or the depreciating currency? Low growth in advanced countries doesn’t help. Growing exposure to China on the tradable side of the economy does help. High inflation is a bad idea and is being reined in. That said, it is easier for relative prices to adjust in a moderate-, as opposed to a low-inflation environment — moderate and steady is best. Low growth is an outcome, not a constraint. You can live with a relatively high fiscal deficit if you are growing. It can become excessive. I think recently, the main constraints to growth have been policies that caused a temporary loss in investor confidence (which is now being reversed), public sector investment levels, and inflexibility in labour markets, which come in the way of structural changes in the economy, especially in the expansion of the economy’s tradable side. The Indian economy, with some important growth drivers in the tradable sector, is still not exploiting it fully. This, by the way, is not unique to India. Italy, for instance, is at least 25 per cent too high in unit labour costs in the context of the Euro zone. It cannot devalue because of the common currency (devaluation is not a growth strategy anywhere, as developing countries know; it is just a reset mechanism) and lots of impediments in labour markets to the flow of people toward the tradable sector, which has potential demand. So, growth is negative or nil. These are the issues Germany dealt with in the 2003-2006 reforms. In any economy that is adjusting structurally, enabling factors such as education, infrastructure and urbanisation, and impediments such as restrictive provisions in labour, product and capital markets have a major effect on the speed of adjustment and growth. For long, Indian industries have been growing at a sluggish pace. It seems investors are losing faith due to various hurdles. Had you been an investor, how would you have weighed your chances in India? That depends on the kind of investor. There is foreign direct investment — there are barriers being removed at a measured pace which, in some sectors, is probably the right approach. Also, there are financial investors in various categories — domestic and foreign. Personally, I would wait until there is a clear resolution of elements of political gridlock and a clear sense of direction and then invest in areas with reasonable valuations and high potential growth. Tapering of QE by the Fed could have a huge dampening impact on capital flows to developing economies. Do you think the new Fed chairperson will begin tapering soon? The volatility we saw after the announcement on tapering in late spring is unlikely to be seen again. Current account-deficit countries will position themselves for an eventual rise in rates in the US. Tapering is not likely to begin soon; economic data is still not strong enough. The move will probably wait for a change of guard under Janet Yellen, assuming she is confirmed. That said, there is a growing feeling (I feel the same) that QE has done what it can and aggressive continuation could stall the structural adjustment of the economy. As your central bank governor said, this is a postponement, not a reversion to the earlier pattern. 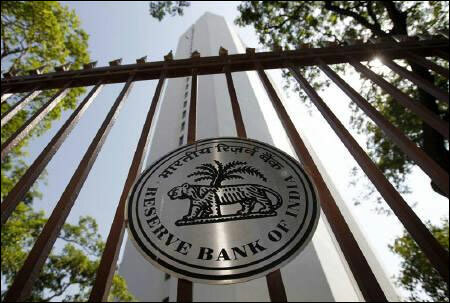 Do you think Indian markets and those of other emerging economies overreact to fears of tapering? Well, the capital outflows were real and occurred in an environment of great uncertainty. No, I don’t think it was an overreaction. There was concern this could get out of hand and derail growth but that concern has subsided. Do you think it is time RBI does away with the Wholesale Price Index and track only the Consumer Price Index to decide its monetary stance? I am no expert, but the two indices tell you different things. I expect RBI to keep and track both. As to reporting headline inflation, I don’t really know.